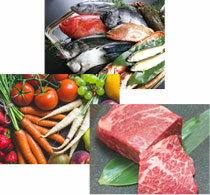 Sun Bridge exports high quality fresh fish, vegetables, Japanese beef and alcohol to the world. 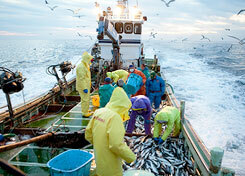 Sun Bridge exports high quality fresh fish, vegetables, Japanese beef and alcoholic beverages that are carefully selected from various markets across Japan. We export to all the countries around the world, mainly to Southeast Asian countries. In order to deliver the true taste of food, we procure the ingredients by utilizing our network spreading both in Japan and overseas. Particularly in Thailand, our group company Sun Bridge Foods Co.,Ltd. imports our products four times a week by air to deliver them to the high-class Japanese restaurants and other restaurants. Our service is speedy and meets customers' needs. Our service is used not only in Bangkok but also in many restaurants across Thailand. Also, we are working on our own product development so that we can deliver high quality products at an appropriate price.